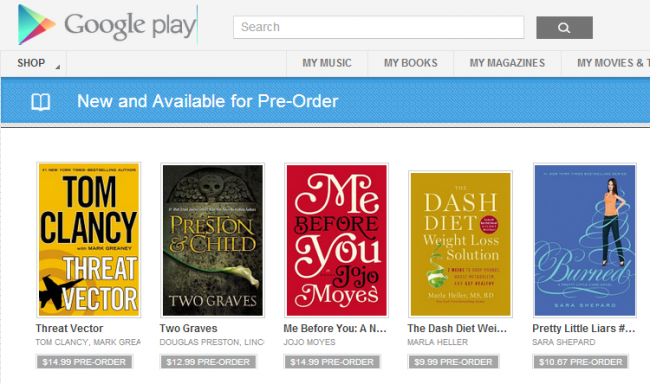 Starting right now, book lovers can start to pre-order upcoming titles that they can’t wait for right through Google Play. There is a new page dedicated entirely to pre-orders, which is a nice way of seeing what is soon to hit the market. This is cool for the bookworms, but I wouldn’t mind seeing some music pre-orders in the future. Raise your hand if you actually buy books from Google Play.